For centuries, the crazy cat gentlemen of the world have received the short end of the scratching post (so to speak). No longer. 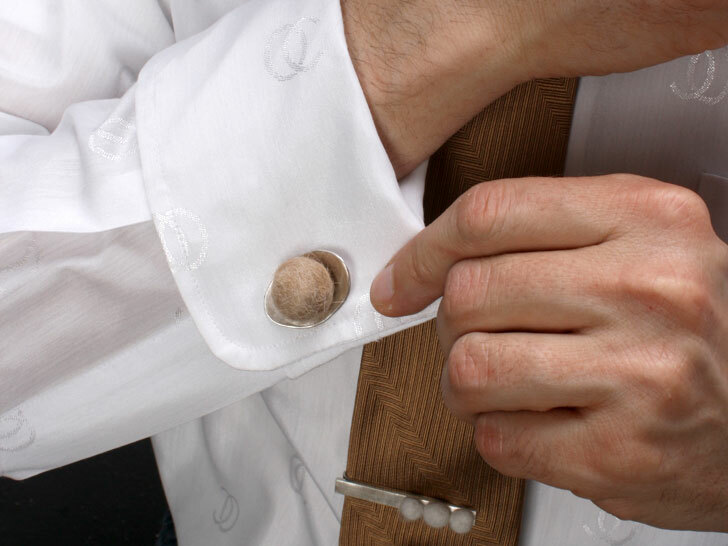 To celebrate Hairball Awareness Day, Kate Benjamin of Moderncat partnered with jewelry designer Heidi Abrahamson to create a series of menswear accessories that has cat ownership writ large. 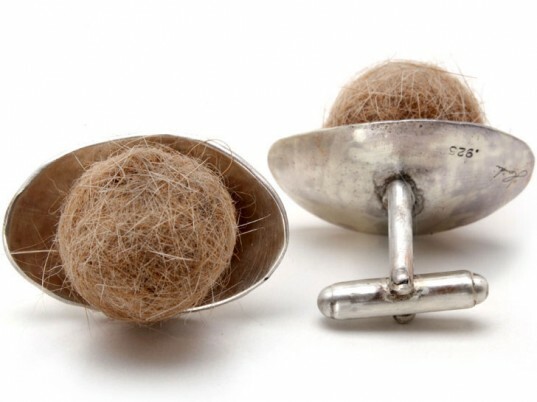 Abramhamson created cuff links by nestling orange tabby “hairballs” in handcrafted sterling-silver bowls. In 2011, Benjamin and Abramhamson collaborated on a series of women’s accessories from shed feline locks, including a necklace, earrings, and a cocktail ring.